First of all, this book is amazing. 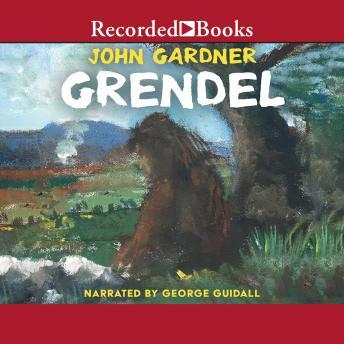 The philosophical journies Grendel experiences are easily understood by the reader and Gardner's use of the motif of the astrological signs adds yet another intriguing layer to this work. This should be a much more famous "classic" than it is, for it's truly a noble work. Honestly it now tops the shelf as one of my favorite books I've ever read and taught. And I loved the voice of the narrator! I really enjoyed his style when he read words like "waaaa" and "heh-heh"... he kept me hooked right in there. His voice and delivery made me laugh, cringe (at the murdery bits) and it also made me cry. Overall, I'm a better, more educated person now after reading and listening to this book on tape!